﻿ Nantong Hongzhi Chemical Co., Ltd.
Nantong Hongzhi Chemical Co., Ltd.
Fine Chemical Park, Rugao Port Development Zone, Rugao, Jiangsu, China. 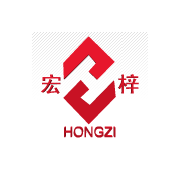 Nantong Hongzhi Chemical Co., Ltd, is a Sino-foreign joint-vetured enterprise. It is located in the historical town Linzi in the beautiful and rich Changjing Deita, near to Tongyang Canal in the east and No.204 National Highway in the west, enjoying convenient transportation. The company was established in 1992. With the joint efforts of the all empolyees, it has developed into a comprehensive enterprise that can manufature varied chemical raw materials synchronously. Its products are in confurmity with the standards published by the relevant state deparment and pharmacopoeia. The company has passed ISO9001:2000 certificate.